A MetalRoof.us article provides interesting facts about metal roofing, which you need to know before deciding to have one installed on your home. The article breaks down the facts according to certain categories such as material, cost, maintenance, energy efficiency, return on investment, and others. In any case, you can choose to re-roof or replace your existing roof entirely with a metal roof; both options are rather safe due to the material’s light weight. It is typically possible to install a metal roof over an old roof, thus eliminating the extra cost and hassle associated with tear-off (be sure to consult a roofing contractor about your specific home). This is possible because metal is an extremely light-weight material. 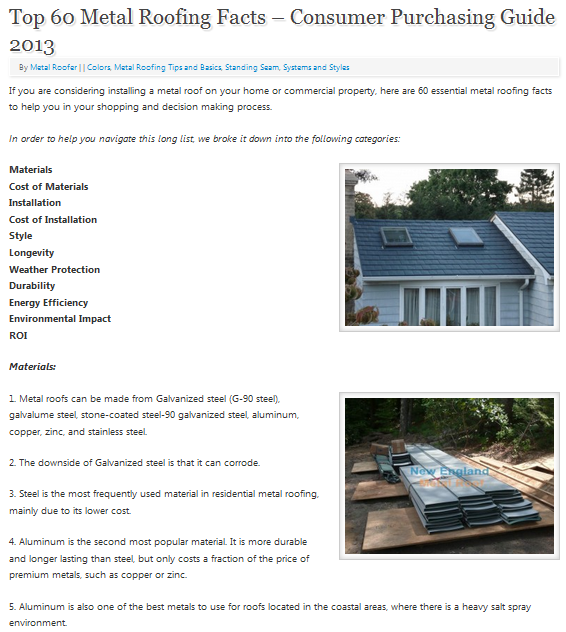 Metal roofing installation is more expensive compared to other roofing systems, because it requires special training, knowledge, tools and equipment that general roofing contractors typically lack. When it comes to roofing in Illinois communities such as Tinley Park and Evergreen Park, where average homeownership rates are higher than the state average, reputable roofing companies like Rogers Roofing see no shortage of demand for metal roofs. Despite the high cost of installation, many prefer metal roofing for its durability and beauty, and appreciate the fact that metal roofing in Tinley Park, IL comes in a variety of colors and styles that can match pretty much any architecture style. Unlike other materials that burn and rot, metal roofs make for a safer option. In addition, metal roofing in Evergreen Park, IL can consist of 25 percent recycled material, which makes it an eco-friendly option indeed. If ever you’re in the market for a roof replacement or re-roofing project, then you might want to add metal roofing to your list.